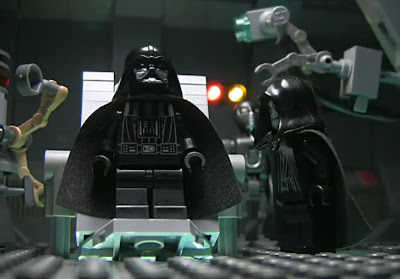 The Daily Zombies: The Fastest and Funniest LEGO Star Wars story ever told...The Prequel! The Fastest and Funniest LEGO Star Wars story ever told...The Prequel! Here's a nifty way to save that nine hours you will never get back, thanks to YouTube user dzine123. We have previously seen YouTube user dzine123's amazing work condensing the original trilogy into a two-minute video with a remarkable collection of Lego Star Wars figures on last year's Star Wars Day. Now witness the kid take on the prequel trilogy!